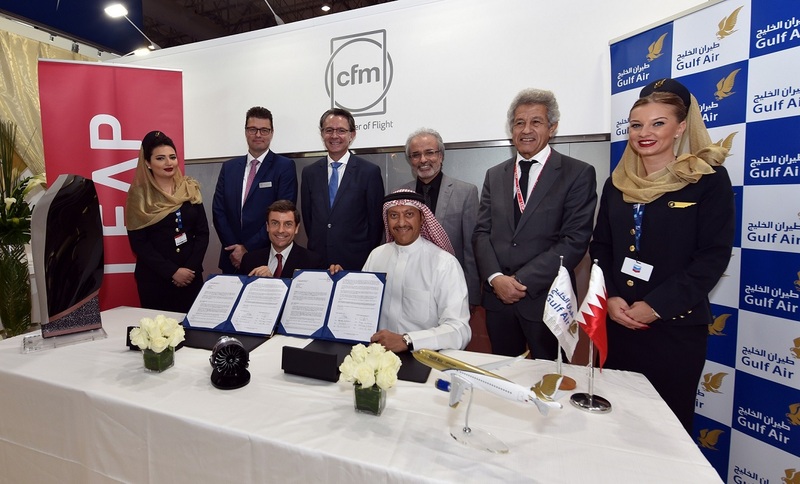 Gulf Air, the Kingdom of Bahrain’s national carrier, and CFM International have today signed an agreement for the purchase of 58 LEAP-1A engines to power 17 Airbus A321neo and 12 A320neo aircraft and an additional 7 spare engines to support the operation. The firm engine order is valued at approximately $1.9 billion U.S. at list price, including a long-term service agreement. The aircraft order was announced in January 2016. Gulf Air has been a CFM customer since 1992 and currently operates a fleet of 16 Airbus A320ceo aircraft powered by CFM56-5B engines. Going forward, the airline will welcome 17 Airbus A321neo and 12 A320neo aircraft alongside 10 Boeing Wide Body aircraft – due for delivery commencing in early 2018. Gulf Air’s incoming fleet will facilitate the long-term expansion capabilities for the airline’s future network requirement. The modern fleet will herald a new era for Gulf Air as it continues to enhance its product and service offering. The LEAP engine entered commercial service in August 2016 and is providing its more than 20 operators with a 15 percent improvement in fuel efficiency, with an equivalent reduction in CO2 emissions; and lower noise and NOx emissions. To date, the fleet in service has logged more than 75,000 engine flight cycles and more than 350,000 engine flight hours while maintaining CFM’s industry-leading reliability. Previous article“UAE Exchange WOW Talent” Drawing competition.